Full report below from Reece. 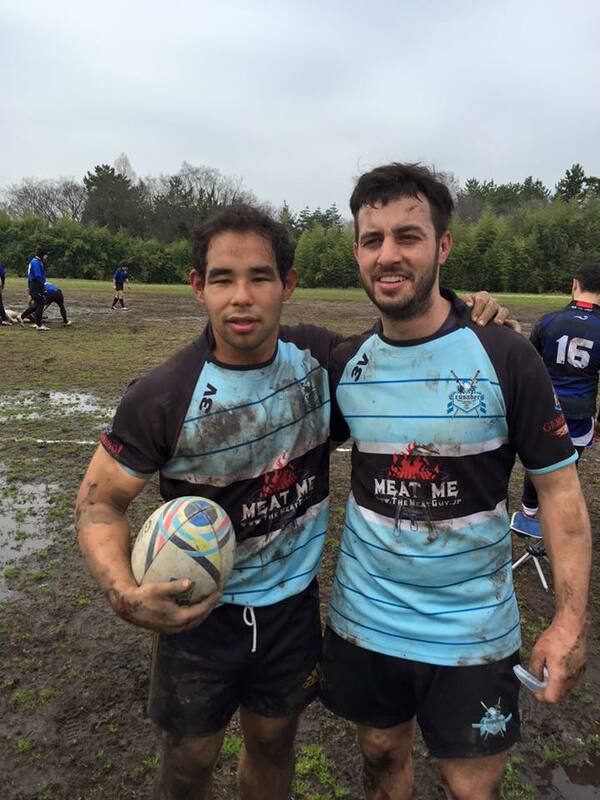 The Meat Cup is on. 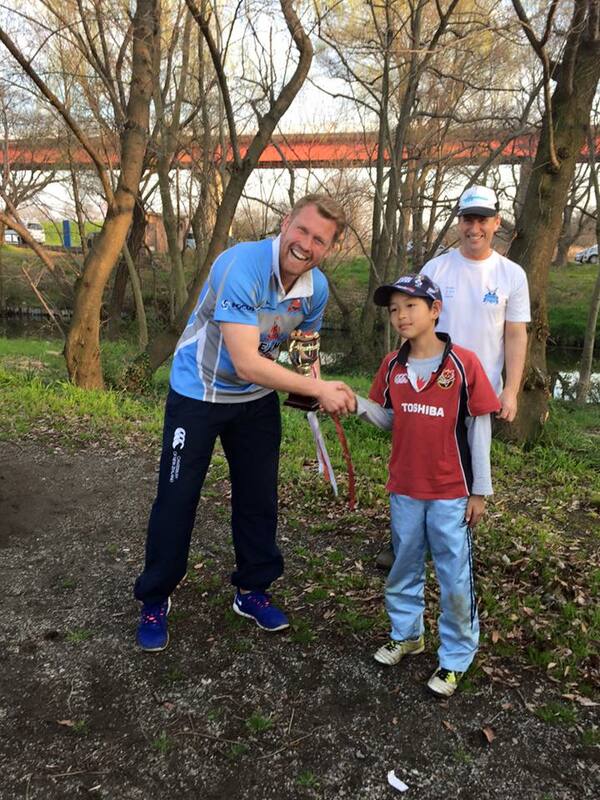 Nonetheless, with plenty of grumbling, groaning and early opening of tinnies, a ragtag group of thirteen or so made their way to the Akigase ground, dreading the kicking that their washing machines would take later that day. Sure enough, the ground was ‘playable’ in the British high school rugby sense of the word: suitable for swimming. 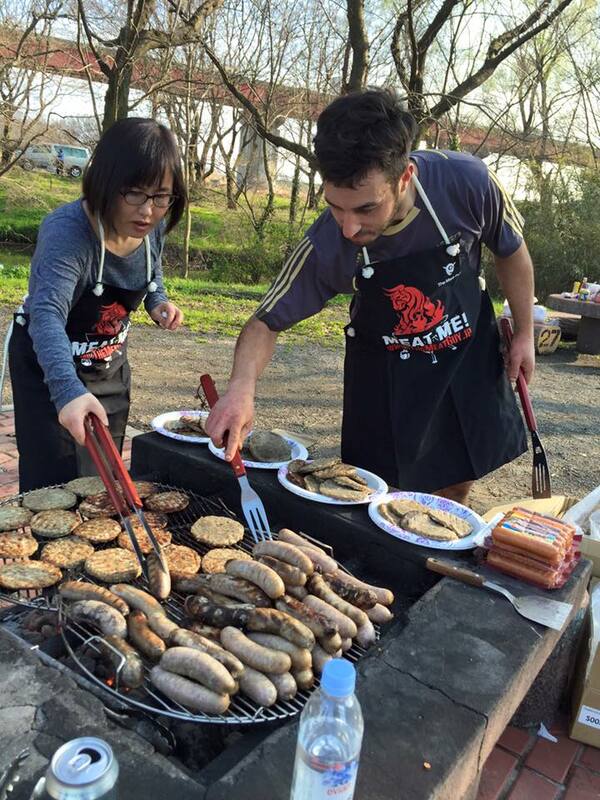 With a drenched pitch, almost zero opposition and no meat in sight, the day looked beyond saving. 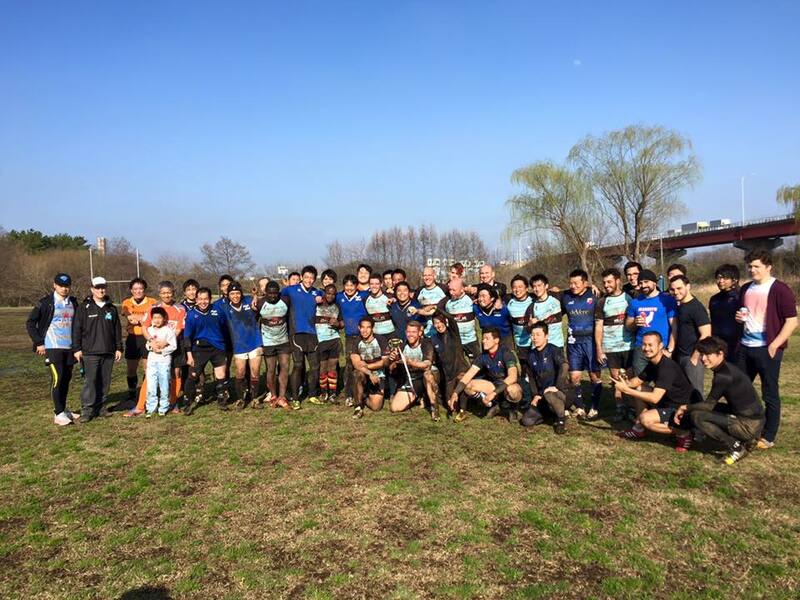 After a brief warmup and heated discussion over whether or not you can make two 7s teams from thirteen people (answers on a postcard, please), the day was finally organised: a three-team 10s tournament, featuring the Crusaders, NTT Hibiya, and a combined force of the JSDF, All France and Otawa. Much to their horror, the Cru and NTT Hibiya were the first to take to the pitch, wondering how best to keep their boots shiny-clean. The Cru sprang into life from the kick-off, with John Akiba and Alex Howard (two pints in by this point) roaring over the try-line in quick succession. Some surprisingly smooth hands from Matt Sparrow, combined with Lawrence’s phenomenal footwork, kept the tries flowing. Finally remembering that you’re not supposed to kick toward your own goal line, Sparrow also slotted all nine goal attempts in this first game. Of course, the Hibiya boys weren’t cowed by the Cru’s speed and strength, responding with gusto and scoring two tries of their own. With a slightly altered line-up to allow certain players to catch up on their drinking, the Cru returned to the pitch to play against the combination team. As expected, the opposition were quick from the off, startling the exhausted Cru squad. Nonetheless, the boys promptly found their rhythm after Sebastian’s opening try – catch from the kick off; a couple of forward phases; out to Matt and Lawrence, then do it again. It was by no means an easy game, however, with the combined squad putting in excellent work around the fringes and making the most of their speed down the wing. 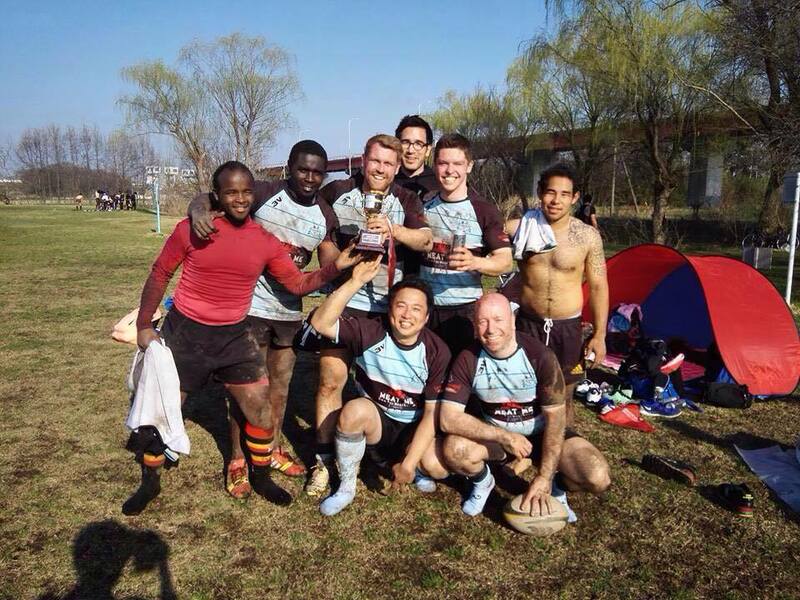 Some excellent defending from Tsukasa kept the sheet clean, allowing John and low-rent Bruce Willis impersonator Sean Gibson to rack up a try each as well. Both teams were eager to come back from their losses, with some excellent hands and big hits on show. As the mud churned more and more, it became very difficult for the two sides to make big breaks, leading to a fair amount of on-the-floor play and a more physical game than the previous two. 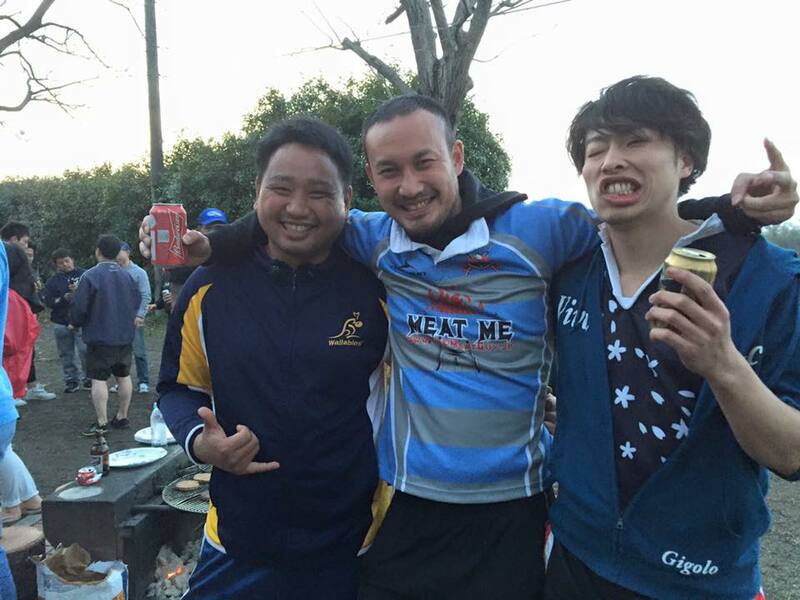 Ultimately, the combined team’s unfamiliarity with each other became their undoing, as Hibiya put their well-drilled approach to good use, scoring three tries and keeping their opponents off the scoreboard. Like some kind of Power Rangers-style robot, the combined team then joined up with NTT Hibiya for a big finale, with the boys in blue eager to take home their trophy for another year running. Seeing the final stretch ahead, the Cru were quick to take the lead from another Sparrow sidestep. Having bullied Yaya for his terrible hands during the break, the Cru suddenly found themselves with an extra scrum-half on the pitch, giving Reece his first try of the day (to cries of ‘I told you I can pass!’). The combination squad held tight around the fringes – the Cru pick-and-go being a centerpiece of their play – but couldn’t keep up with the constant pressure, with Andy and Sebastian both scoring after big breaks. 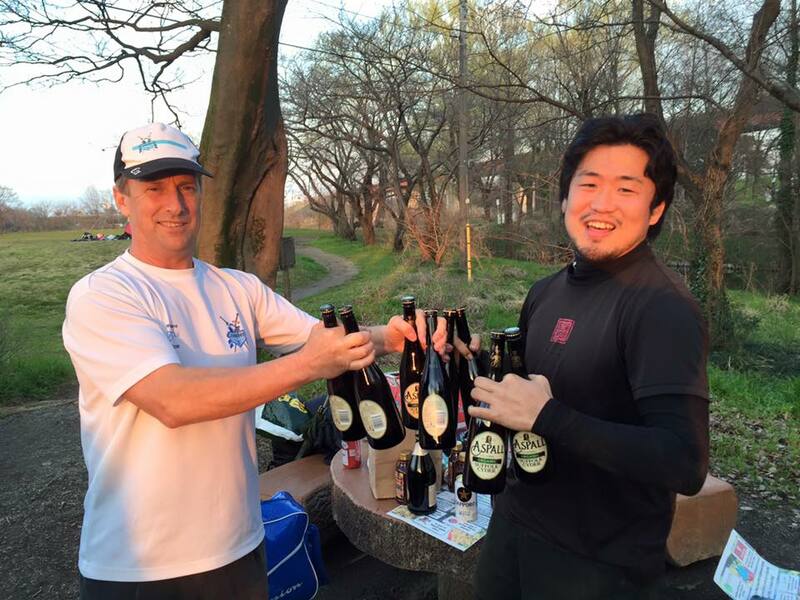 As both teams grew more tired, the Cru switched to a wider style of play: Lawrence, as ever, sprinted off into the sunset, with Tsukasa and Reece picking up a couple more as well. As the games drew to a close, unsung heroes Seth and Jerry appeared with a military base’s worth of beer and meat, and stalwart Sebastian manned the BBQ. The raffle, filled with some phenomenal prizes from the Cru’s sponsors and friends, was a big hit, and a great day was had by all. In true testament to the rugby spirit, everyone gathered together for that most noble of traditions: the boat race. Finally given a task they’ve trained for, the Cru romped home for victory. As the taxis went their separate ways, the Cru contingent made its way to Ikebukuro Hub, where absentee Matt Foster had his pint for MVP avoidance and the usual antics began. 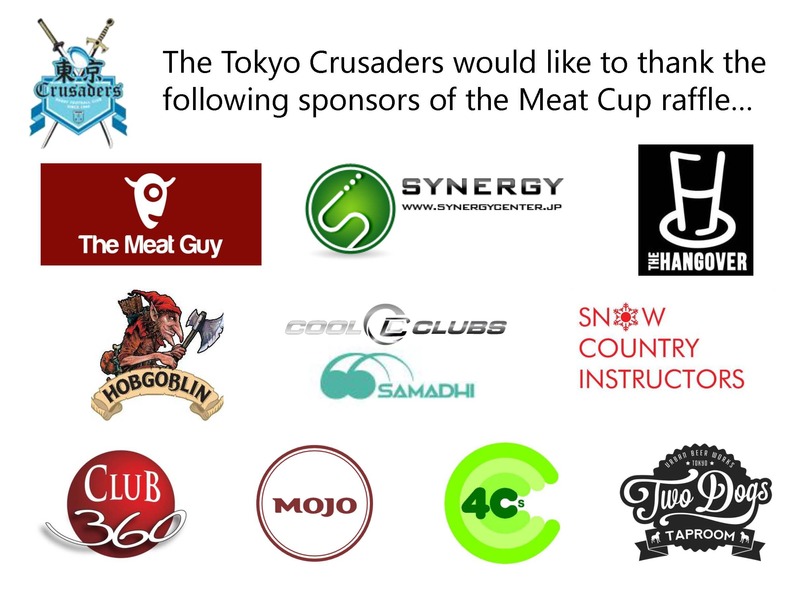 Massive thanks to everyone who helped organise the day, as well as our sponsors, but ultimately the applause must go to NTT Hibiya, the JSDF, All France and Otawa RFT. Not only did they turn up on such a vile day, but were outstanding sportsmen from start to finish and never backed down. We look forward to the next game, gents! Here is a complete list of our sponsors.